With this ring... After a whirlwind affair, Greek billionaire Jax Antanakos left Lucy Dixon heartbroken and – although he didn't know it – pregnant! Lucy is determined to make a new life with her tiny daughter, yet when Jax sweeps back into her world, she cannot mask her instant response to his seductive charisma! ...I thee buy! 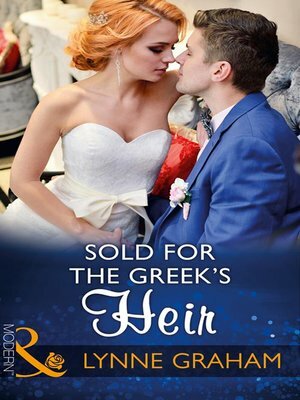 For Jax, a ready-made heir is well worth bidding for – especially when it guarantees making Lucy's luscious curves his. He's determined to stake his claim on her body – and their baby – by reminding her of their insatiable chemistry in the wedding bed!